Today's theme is very exciting and I am expecting to see various manicures today as it is not limited to any pattern/technique of nail art. 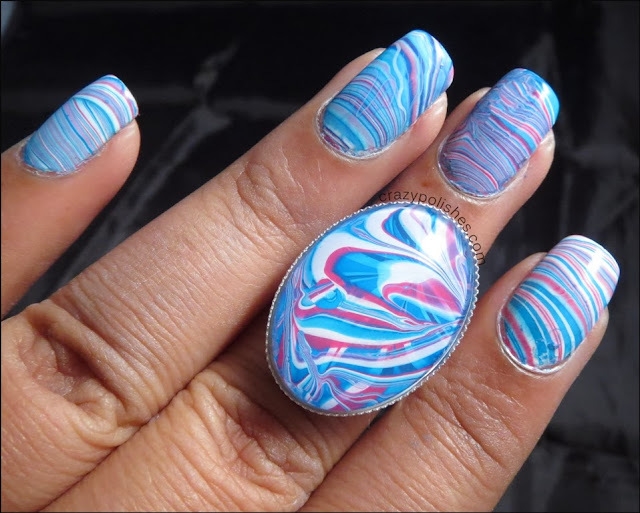 I am not feeling very well and I was having fever so I coudn't do anything for today's theme but luckily, I did a water marble manicure few days back that too with the colour i own most in my stash. BLUE is my favorite color for polishes, I cant get enough of it. After blue the next color i have most is Pink. 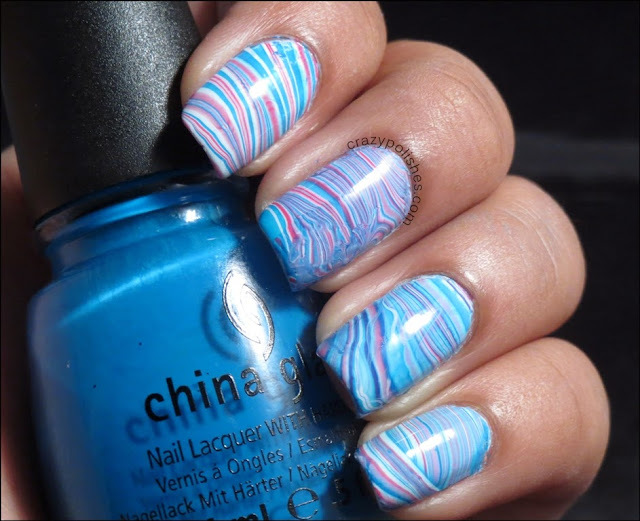 So here is my watermarbled manicure using blue, pink and white polishes. I used China Glaze Hanging in Balance, Sally Hansen White on. I dont really remember which pink polish i used here. 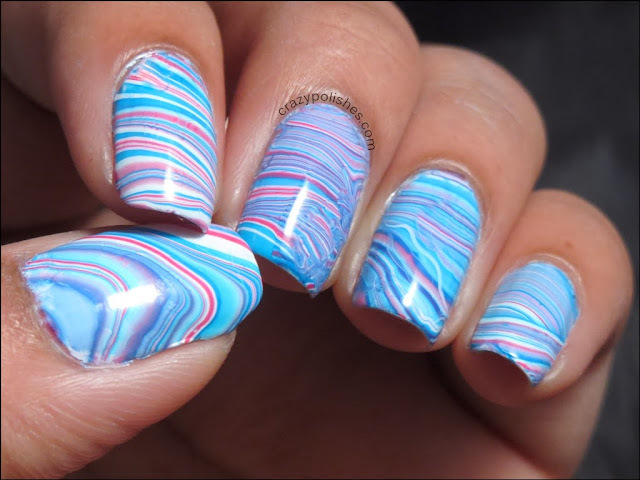 One thing i was happy about is that it took only 10-15 mins to complete this water marble. 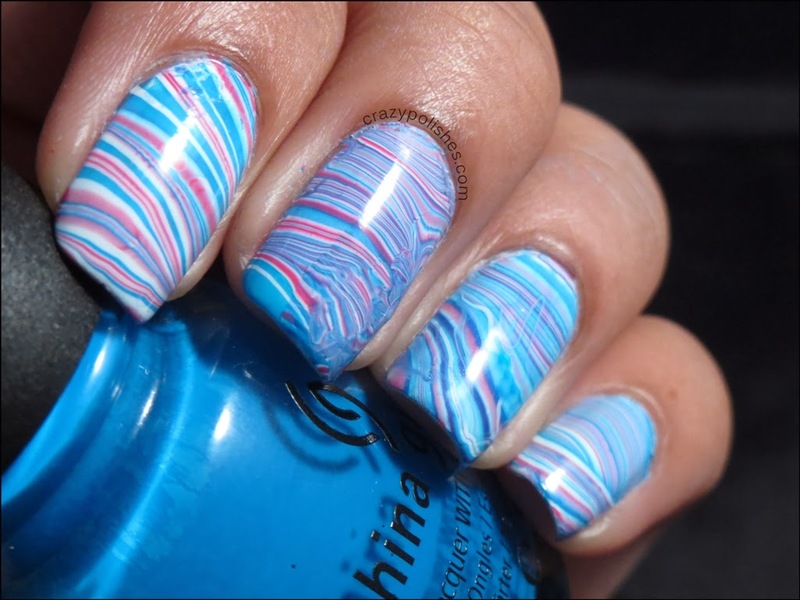 If you do water marble than you know its pretty quick for marbling. Though i had to do a second coat on the right corner of my middle finger but i am happy that manicure came out well in first attempt. 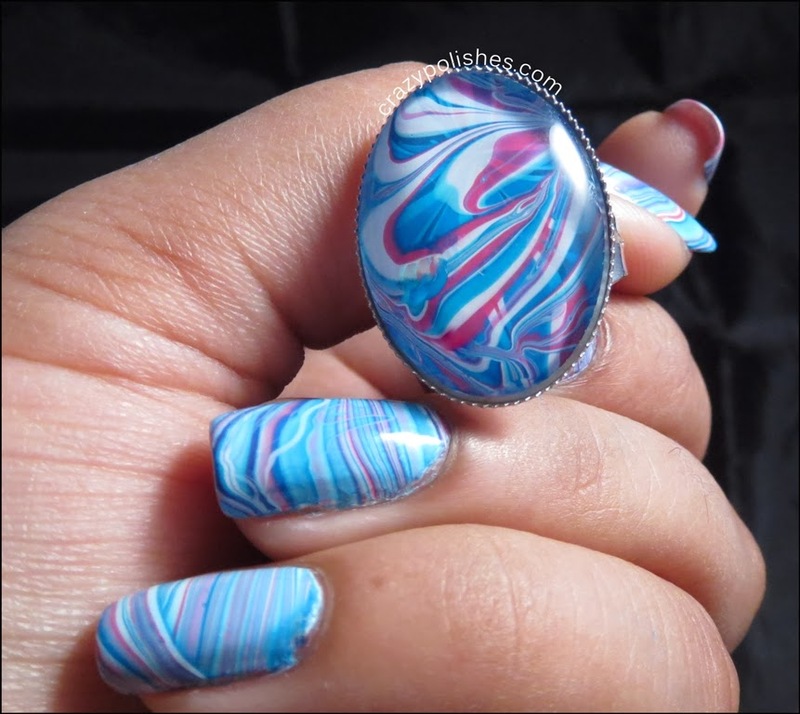 I am loving making nail polish jewellery these days and I also did a water marbling ring. 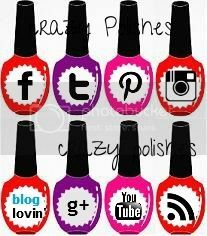 Actually i did the ring first and than did my manicure. I hope you like this manicure and my ring.